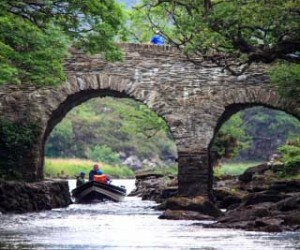 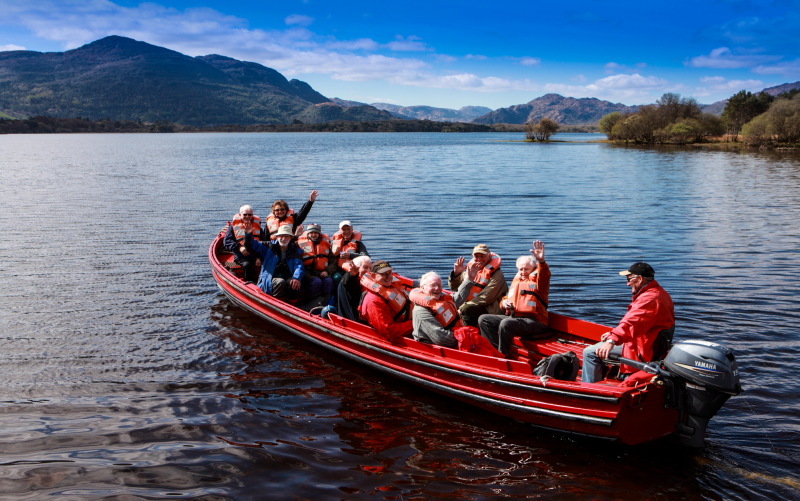 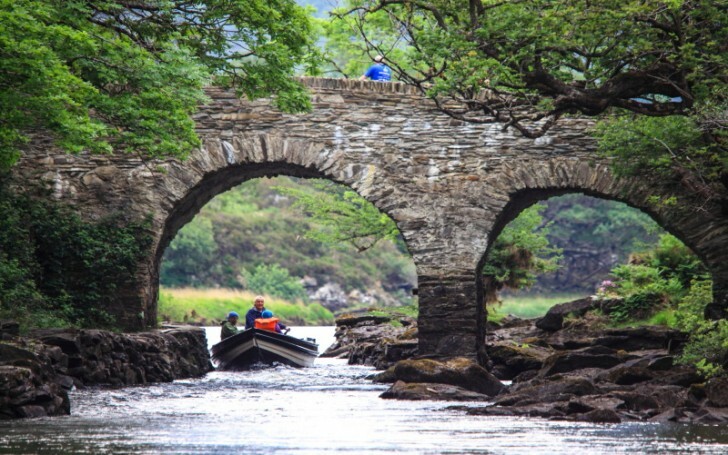 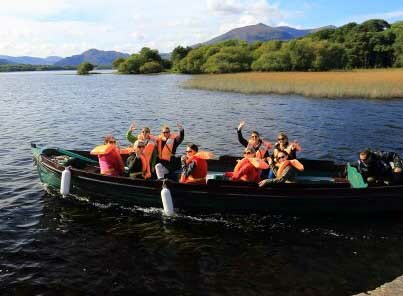 Why not try one of the many boat trips in Killarney on the famous Lakes of Killarney, open boats are available from the Old Boathouse near Muckross House. 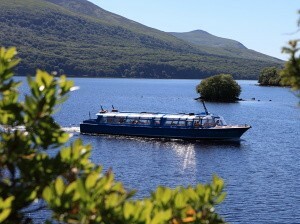 Boat trips are also available from Ross Castle around the Lakes and also to Innisfallen Island where there is an old Monastic settlement. 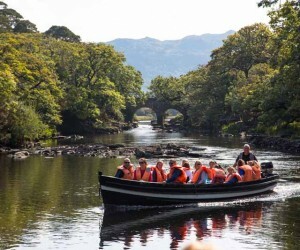 Ross Castle is where you can have a local guided open Boat or a covered over Lake Bus to bring you around the Lakes. 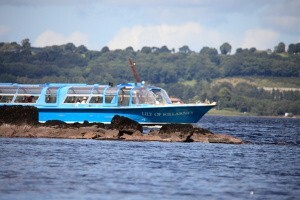 You will pass Innisfallen Island, Library Point, Governors Rock and the Old Copper Mines. 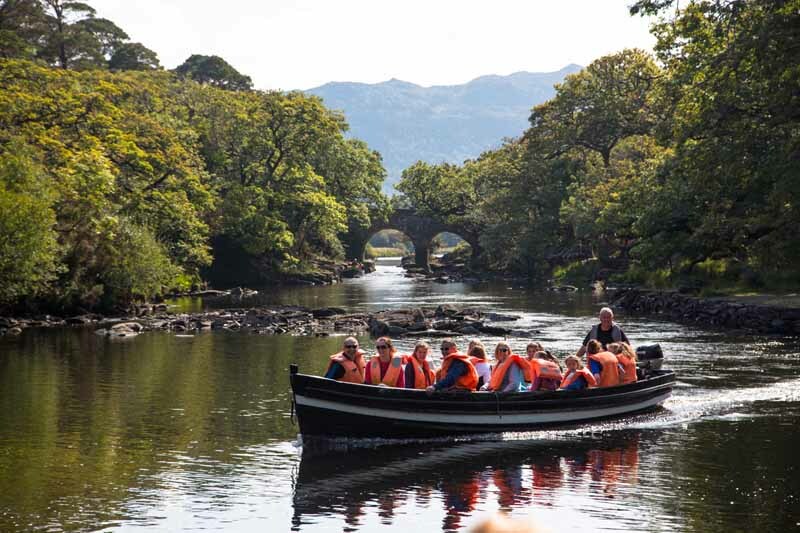 You will also be able to see Innisfallen Abbey and watch out for White Tailed Sea Eagles, seen regularly over the lakes. 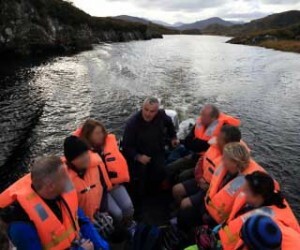 There are beautiful views of the Woodlands, Islands and Mountains with an abundance of wildlife. 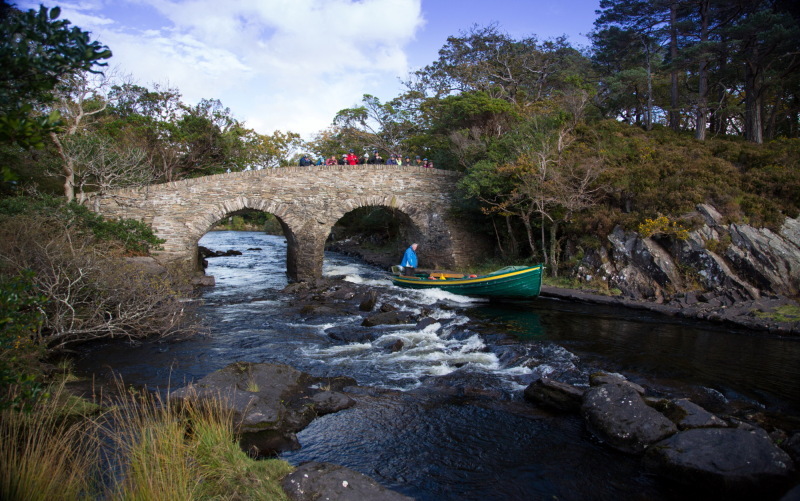 In Autumn the mountain shore area of Tomies Wood, O’Sullivan’s Cascade, the Royal Oak & the Burnt Island are the best place to see Eagles and maybe a Falcon. 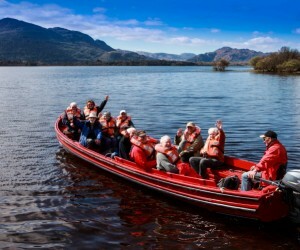 Lake Hotel Guests depart for a Tour of the Lakes of Killarney.